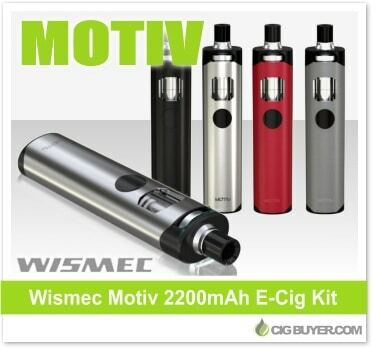 The Joyetech Wismec Motiv E-Cigarette Starter Kit is slightly different than your standard, eGo-style device, mostly due to its unique, elliptic shape and built-in, leak-proof 2ml glass tank. It’s top-filled, has 2200mAh of battery capacity and includes top adjustable airflow, making it easy to customize your experience. The Wismec Motiv Starter Kit comes in several attractive colors (with mult-color LED indicator) and uses Wicmec’s brand new DS Coil Heads, including a high-performance 0.25 ohm NotchCoil that comes with the kit.